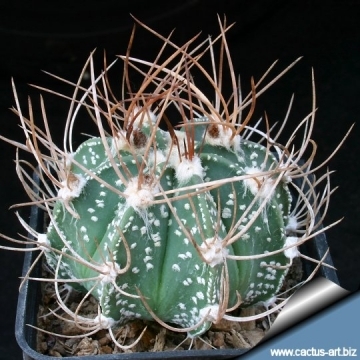 It is a beautiful hybrid with woolly white areoles and long spines. 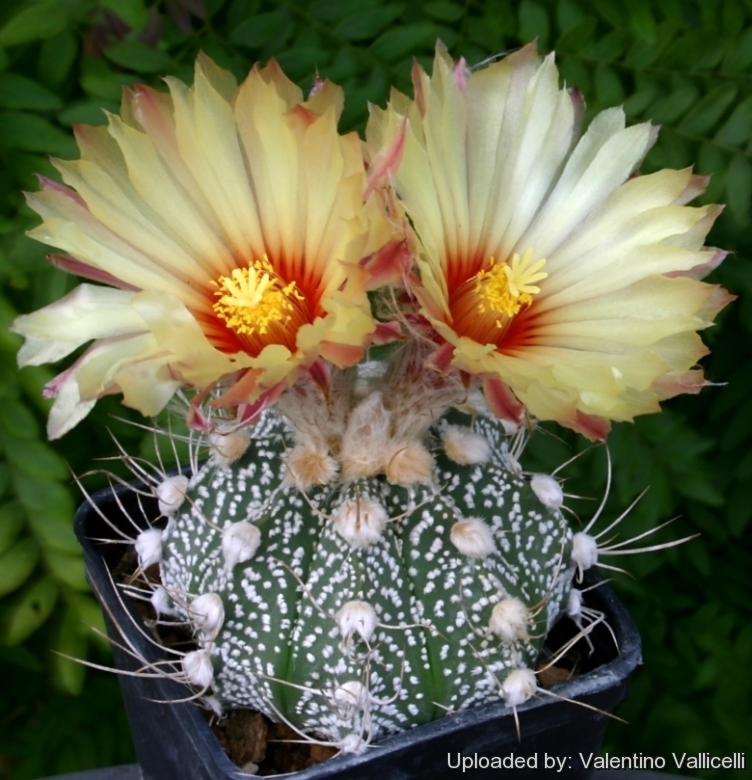 Origin and Habitat: Garden origin (Nursery produced cultivar) A nice plant obtained by controlled pollination of ♀ Astrophytum capricorne x ♂ Astrophytum asterias. Compare with the inverse hybrid Astrophytum hybrid AS-CAP (A. asterias x A. capricorne which is similar but with (usually) shorter spines. 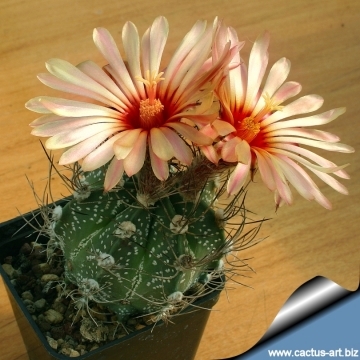 Description: The superb feature of some of this hybrids is due to the intersection between the traits of the ancestors. 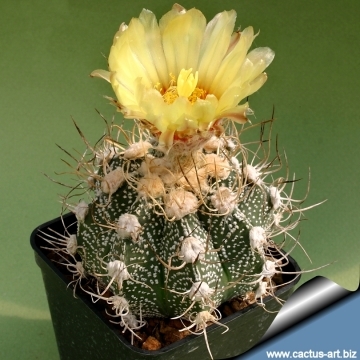 Many of them have inherited by Astrophytum capricorne raised ribs with (usually) long spines. The flower are also very beautiful. Cultivation and Propagation: It is a strong plant quite easy to grow. It is sometime seen as a grafted plant but grows very well on its own roots too. Use mineral well permeable substratum with little organic matter (peat, humus). Water sparingly from March till October and keep perfectly dry in winter at temperatures from 5 to 15 degrees centigrade. (but it is Hardy to -7°C for short periods) In the rest period no high atmospheric humidity! !